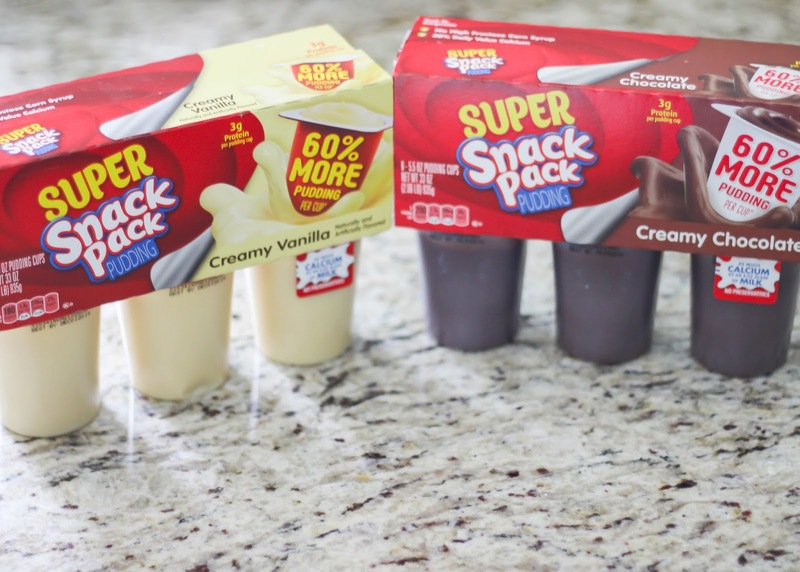 To make these you’ll need the super snack packs pudding in vanilla, chocolate or both. Your choice. I picked up both vanilla and chocolate for some variety. 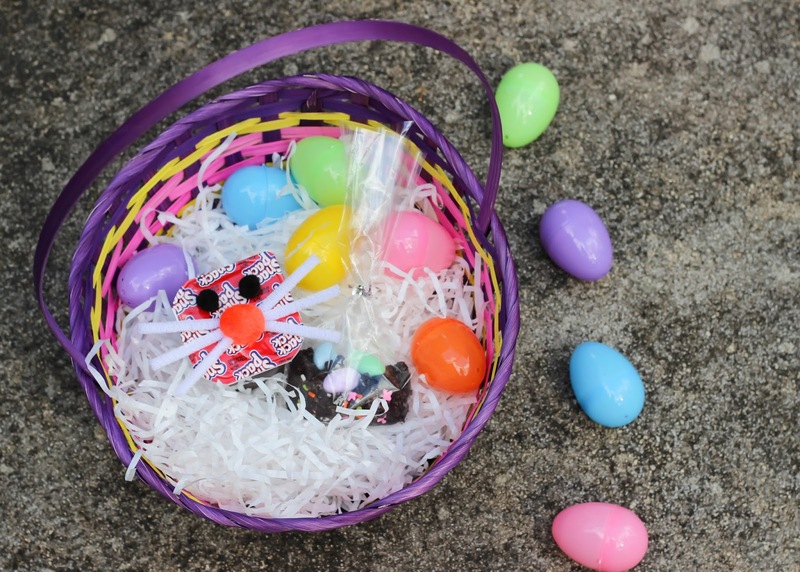 For the bunny cup look I hot glued pom poms for the eyes and nose, and pieces of pipe cleaners as the whiskers. I then used clear gift bags to pack up the mixins. I crushed 2 oreos in each one, added some Easter sprinkles, and then topped each bag off with some Jordan Almonds that look like little Easter eggs. The result is delicious. I can’t let Maddie Grace eat the almonds but she sure loved snacking on the pudding with the sprinkles and crushed Oreos, and I was able to enjoy the Almonds. 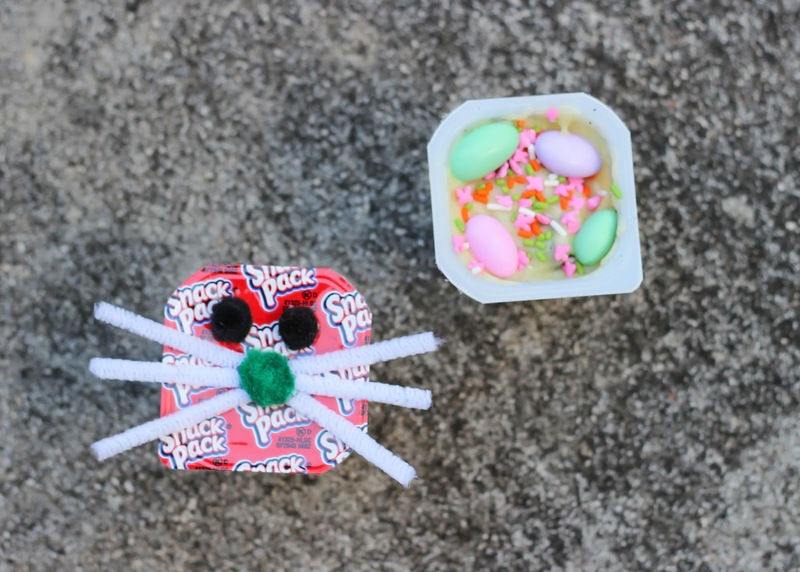 Check out more great Easter Snack Pack mixin ideas here! Like I mentioned I don’t want Maddie Grace having a ton of candy so I’m filling up these eggs with some of her favorite fruits like blueberries, strawberries and grapes, which she will be thrilled with. Maddie Grace’s favorite thing in the world right now is stuffed animals so what better thing to add in her basket? Walmart had some cute plush baby-friendly options so I picked one up for her basket. Books are next on MG’s favorite list after food and stuffed animals. I love the books with textures inside and with fun animal faces and luckily there are tons of Easter themed options for those. She is going to love this one! 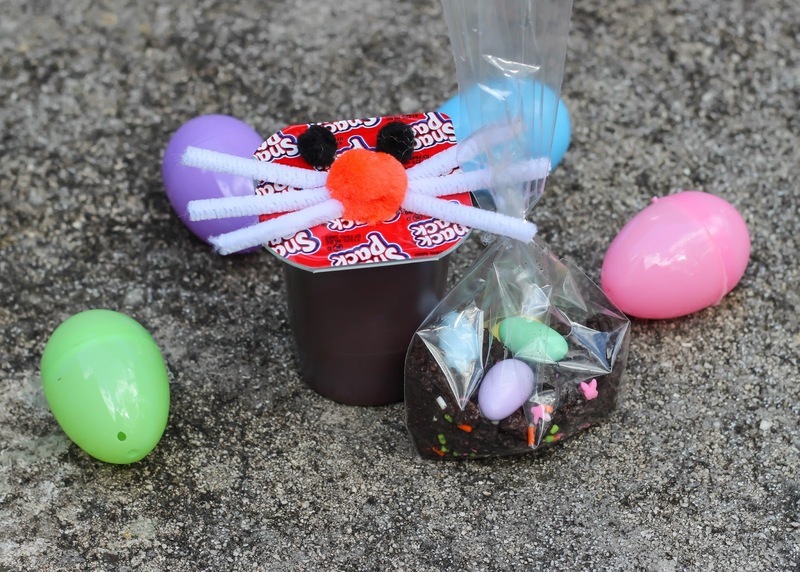 special display featuring Super Snack Packs and Easter mixin ideas! 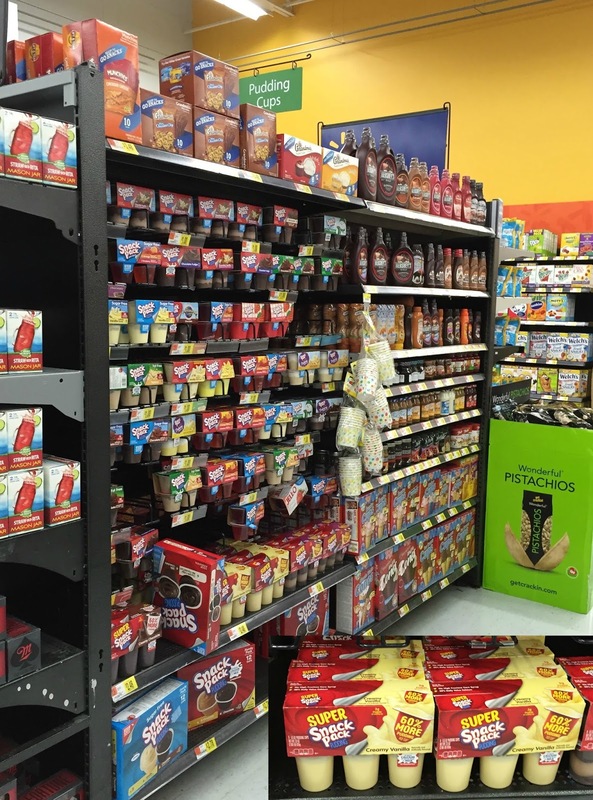 Also check out this coupon to save on Snack Packs at Walmart! So there you have it. 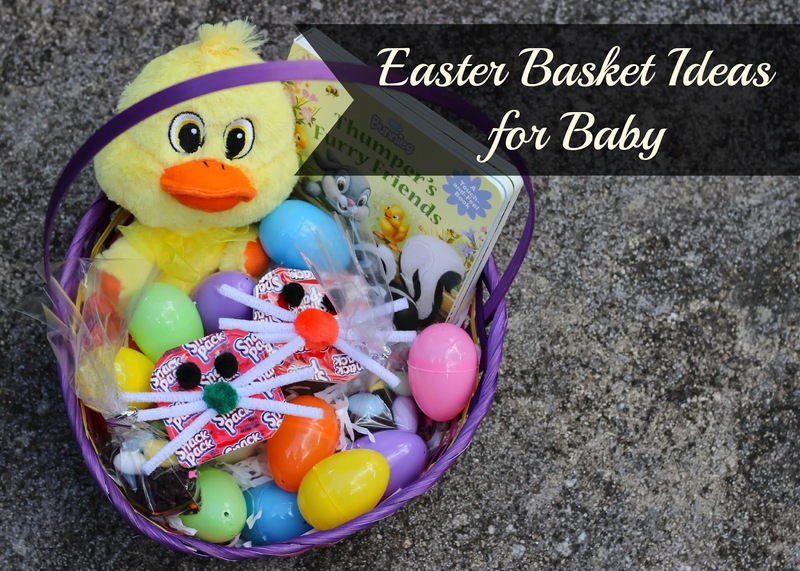 What are you putting in your baby’s Easter basket this year?